The sale of THQ and the auctioning of its assets has completed, marking the end of the publisher. Although efforts were made to sell the company's efforts to a single company, THQs properties and developers were instead picked up by several other publishers. 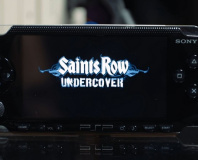 Sega has bought Company of Heroes and Dawn of War developer Relic, Koch Media has bought Saints Row developer Volition along with the Metro series and Crytek bought Homefront. Take 2 scooped up new IP Evolve, outbidding the game's developer Turtle Rock Studios. THQ Montreal has been sold to Ubisoft along with the rights to the upcoming South Park: Stick of Truth. The inclusion of the South Park title in the asset auction was contested by its licensor, the South Park Digital Studio, as it was claimed that THQ was not allowed to reassign the license to another company without the permission of the license owner. The sale appears to have gone ahead anyway. The sales are all expected to close by the end of the week. 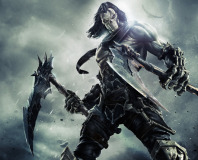 Developer Vigil and rights to the Darksiders and WWE IPs were not sold during the auction and the fate of a lot of the smaller, older franchises has not been ascertained. Everything not included in the sale will remain a part of the Chapter 11 bankruptcy case with THQ still attempting to sell them if possible. THQ started bankruptcy proceedings in December 2012 with the embattled publisher having a long running struggle over most of the year. The company did however manage to boost its share price by 40% earlier on in December by raising $5m in sales through its pay-what-you-want Humble Bundle promotion.